It’s not long until our next Open Day here at Alltec! Last year was phenomenal, and this year we are making it even bigger and better with more than ever going on! And best of all, it’s still completely FREE! Pavlo Woloszyn will be demonstrating Spot & Stain removal. John Thompson will be teaching Carpet Repair, and making balloon animals if you ask nicely! We will also have a great range of our Portable Machines and Truck Mount as well as stock of all our solutions and accessories. There will be lots of special offers for the day, plus a raffle with all ticket purchases going towards Kirsty’s Kids. Charlie & Oswald will be here for petting, cuddles and photo’s! 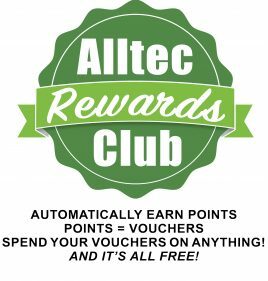 And, of course, all of the Alltec Team will be here to answer any questions you have and demo any equipment or products you would like. There is no charge for attendance or the Hog Roast lunch, please come along and bring the family! All we ask is that you register here so we can cater for everyone, you will be issued with a name badge and free lunch ticket upon arrival. Partners and children welcome, just let us know who you are bringing! A little bit of small print! You must pre-register to receive a ticket for lunch. Any special offers or discounts must be paid for on the day to be received. No dogs please. Participation in activities/demos are at own risk. Thanks, we hope to see you there!